There are many good reasons to take the stairs - for health benefits, to reduce energy consumption, to avoid crowded elevators, and, in some cases, to save time. We want to help remind you of these reasons, and to help direct you to the stairwells. 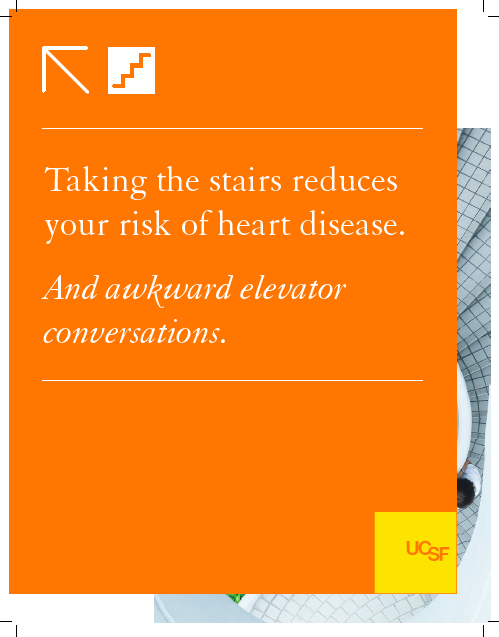 Look for our Take the Stairs campaign - with fun, light, point-of-decision signage in almost all campus buildings.